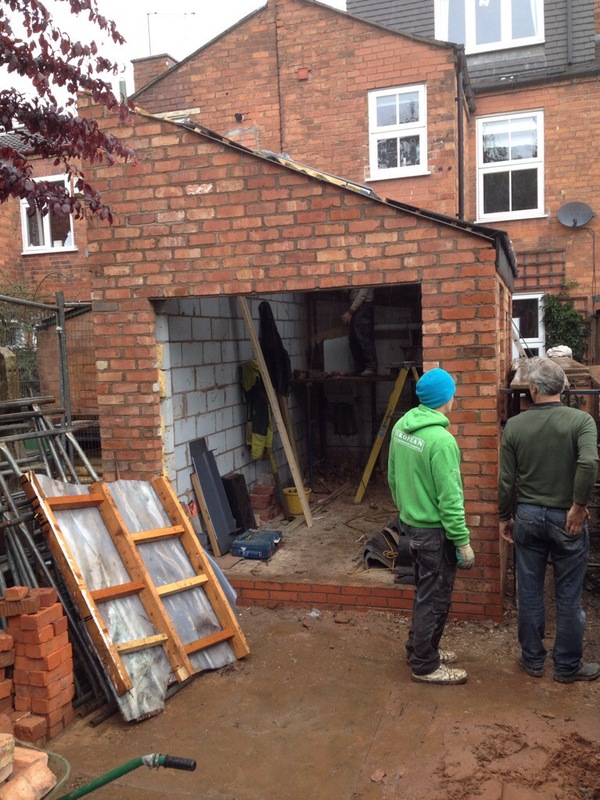 This is a second project I have on Grange road, a single storey extension. Good progress on site so far. If you live on Grange Road and have a project in mind, you can get in touch via my contact form. Actually, you don’t have to live on Grange road, anywhere in or near Kings Heath is fine. For the Station Road project the client was looking for a loft room but had low headroom in loft and a stair running between the front and back room. So the room I have designed is a half loft. We put new stairs above the old and leave the front part of the roof space as a loft storage space. The new room at the back of the house is full width as the stairs are out of the way and we find the headroom by dropping the ceiling in the back bedroom and hallway. The front bedroom still keeps its high ceiling and character. I have stolen a corner of the storage loft for a roof light, so a little light trickles down the stairs into the middle of the house. We are due to complete on site on the 13th of June when I will issue the practical completion certificate if I am satisfied that the works are complete. The contractor has done an excellent job so far and I expect an early completion.